Critical incidents all too often explode onto the social conscious and challenge our sense of security. 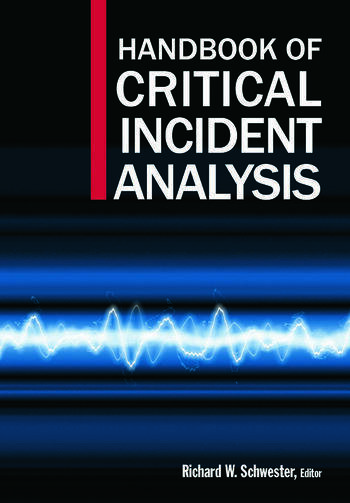 This comprehensive handbook brings together a range of experts who provide a foundation for the field of critical incident analysis by examining specific incidents9/11, the Virginia Tech massacre, the H1N1 pandemic, the BP oil spill, and more--through various methodological and disciplinary lenses. This groundbreaking book develops a new organizational theory derived from ideas in statistics and psychometrics. The author's core premise is that errors known to occur in social science research must also occur when managers look at their data and seek to make inferences about cause and effect. Statistico-organizational theory uses methodological principles to predict when errors occur and how great they will be. Expanding on this concept, The Meta-Analytic Organization offers new theoretical propositions about organizational strategy and structure with wide application to human resource management, international business, and more.